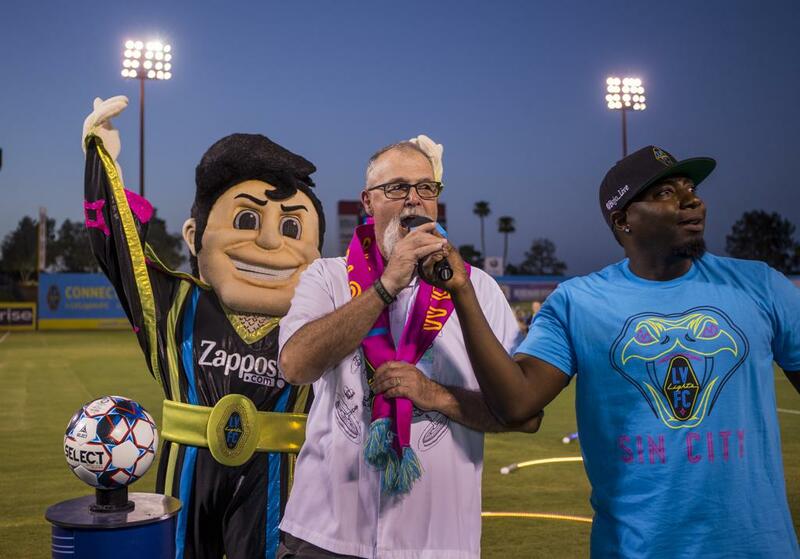 On August 4, 2018 Jim Porter, longtime Clark County School District Head Athletic Trainer received the Las Vegas Lights Pink Scarf. This recognition is presented by the Las Vegas Lights FC to those in the community that represent the same mission as they do: “we are by Las Vegas, for Las Vegas and of Las Vegas”. Porter was recognized in an on-field ceremony before that night’s game. Other honorees include the Las Vegas Mayor and local celebrities and professional athletes. The LV Lights FC versus the RGV Toros in a USL game at the Cashman Field Saturday, August 4, 2018, in Las Vegas.